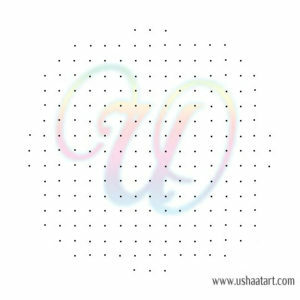 17 dots (Ner Pulli) Kolam. 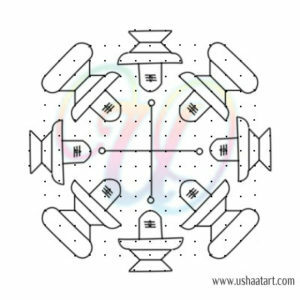 Put 17 dots 3 times, by leaving 1 dot at both ends put 15 dots 4 times, then 13 dots, 11 dots and 3 dots. 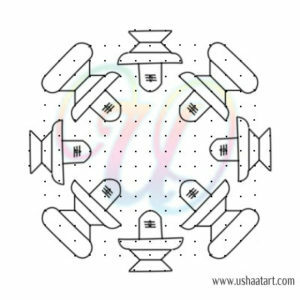 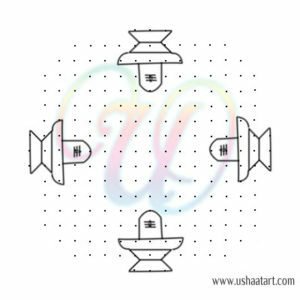 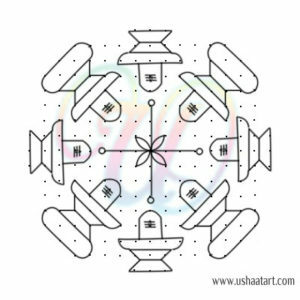 Draw Small shiva lingams at four sides. 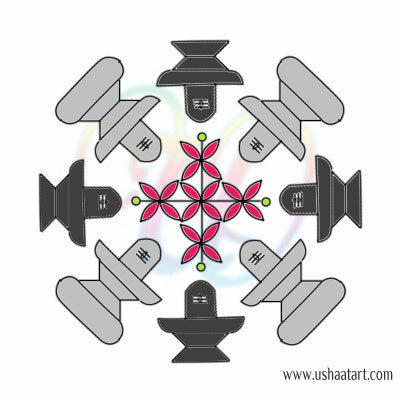 Draw other lingams between them. 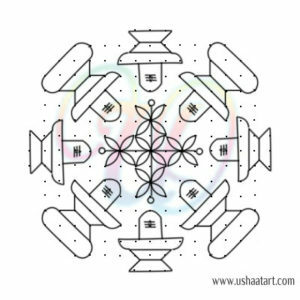 Draw middle kolam as shown below.